We've been told by our top vendors that Teerman's now has the largest, most complete clock shop in Michigan. With a thousand clocks in stock and a full-time clock repair department, we'll let you be the judge. 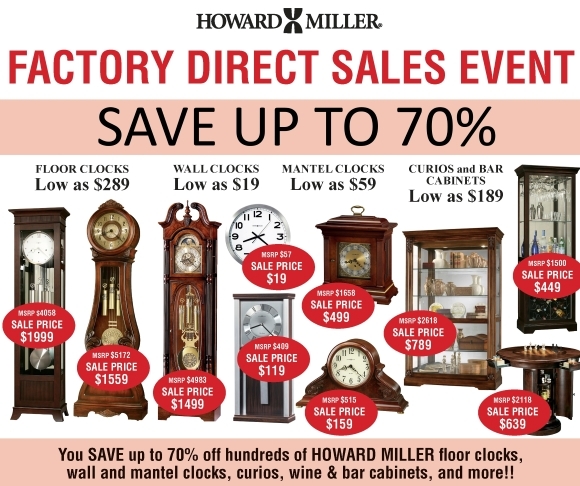 What we can tell you for sure is that you'll find any clock you can imagine--decorative wall clocks, unique table clocks, retro clocks, stately floor clocks, digital clocks, cuckoo clocks, French cafe' clocks, gallery clocks, weather stations, Frank Lloyd Wright inspired clocks. If it ticks (or whispers, sings, chimes, cuckoos, quacks, oinks and plays marching music) we have it at Teerman's!